You'll definitely feel smart while reading this book. Smart without a headache. 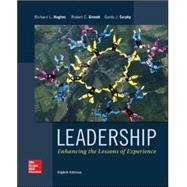 Leadership: Enhancing the Lessons of Experience: 4 out of 5 stars based on 1 user reviews.